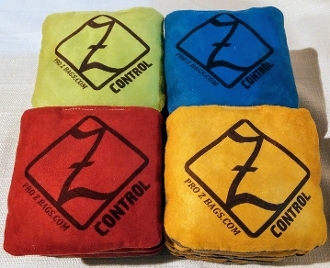 All new Pro Z CONTROL! Decided she was too fast so we upgraded to a soft woven "Carpet" feel on the slide side with upholestry suede. Don't get us wrong it still slides its just a much softer more controllable slide. Feels great in your hand, lands soft and has some movement to it. Just might be the best Stick & Slide bag out there.